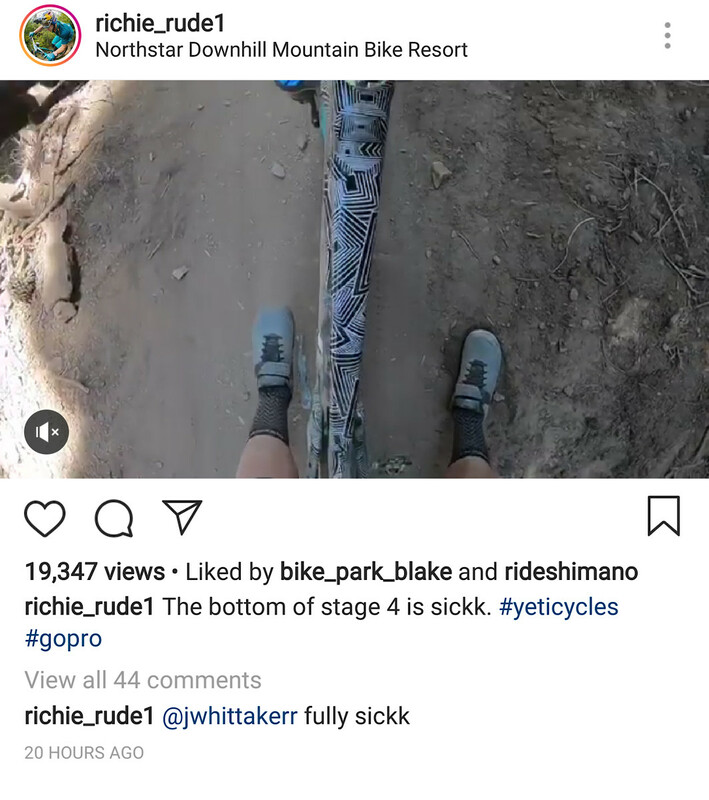 Richie riding it this weekend in Tahoe. This feature has 14 comments. What size frame is he using? How can you guys miss the Pringles? Loic to Pringles! I think Adam Brayton is English not Scottish. Ruaridh Cunningham is Scottish. My concern as a consumer is whether or not the N. Irish government will continue subsidizing the mailing of packages to foreign countries. A layoff of N. Irish workers may prompt the local government to reexamine their support of CRC, now WiggleCRC. Sad. I was just in Montana riding and the bike shop guys said they always carry bear spray for bears and moose. I'm very surprised neither was carrying it. I don't think Gwin is that tall. Not a coincidence. I called it in a couple of posts. If there was an al̶l̶ stars team would Gwin make it? Gwin's a star, I'm sure he'll be wearing gear from a company that does bike/moto/cars etc. Why is the video transposed? Maybe because they are on the other side of the equator?